Ducati 899 Panigale Forum > Ducati Panigale 899 Forum : 899 Panigale General Discussion > 899 Panigale General Discussion > 3rd gear red line shift , possible sieze ? 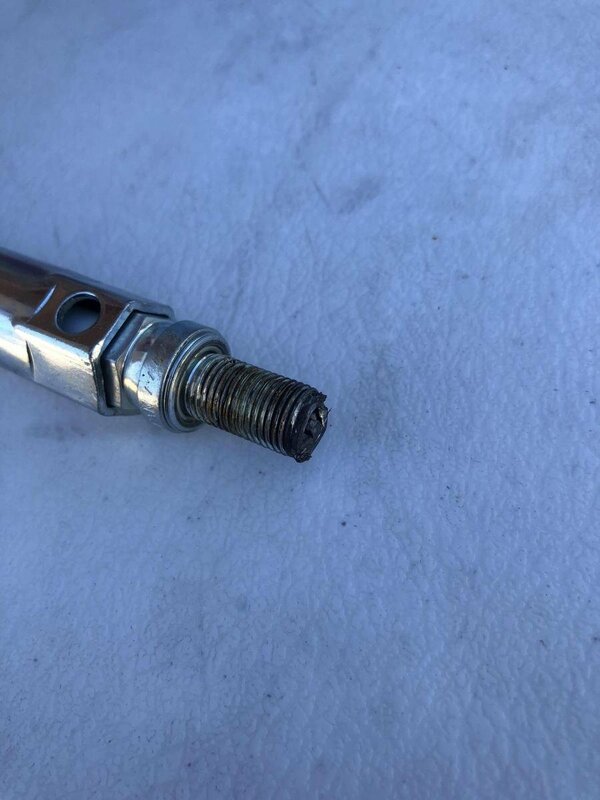 After pulling out the vertical cylinder spark plug. This is what i find ! &#x1f621; ... maybe possibble connecting rod failure ? This link should have a picture of the spark plug. Sorry to hear your about your troubles ,have you been able to find out what hit the plug sound like your on the right track , 899 when revved hard will have rod failures as seen in BSB 899 cup, rules changed to allow better rods ie carrillo .I guess it might be something less dramatic I hope so.I guess when we buy a cheap Ducati Super Bike we should expect to get soft brakes, low spec shock, heavy wheels,one way quick shifter, mine has never worked consistently ,oil leaks, water leaks and so much character,it does sound great though.